Eventhough MGR credited as the Box Office Emperor and has many movie records under his belt some movies had problems in production as well as in releasing. MGR fully acted movie comes to 136 and 2 unfinished movies – Avasara Police 100 and Nallathai Nadu Ketkum released in 1990, totally 138 movies. Most movies which MGR acted was stopped for various reasons. 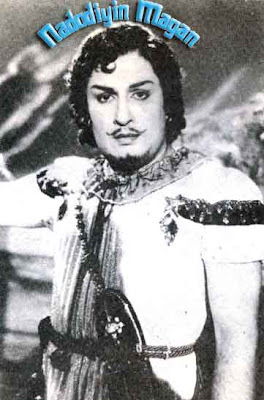 For example the year such as 1958, 1967 and 1972 were prominent phase in MGR's movie world. Most of MGR fans know why I describe these years. 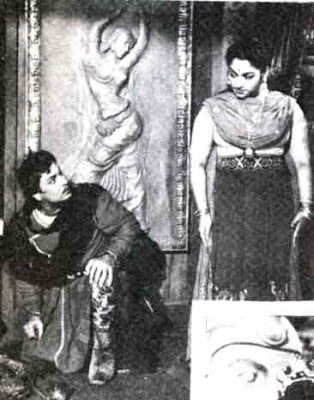 In 1958 MGR met with an accident while acting in a drama. The wound took 6 months to heal. The term MGR as Action Hero was said to be finished but it did not happen as expected by his rivals. 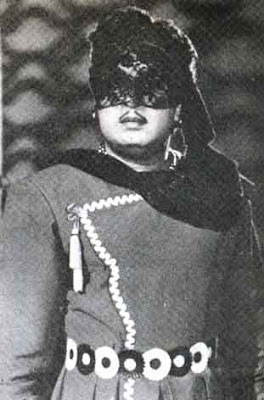 MGR was acting in 'Malai Nattu Ilavarasan', 'Sirikum Silai', 'Thungathae Thambi Thungathae', 'Silambu Kugai' and pre production stage of Kalki's Magnum novel 'Ponniyin Selvan' these movies were shelved and did not come back to lime light. 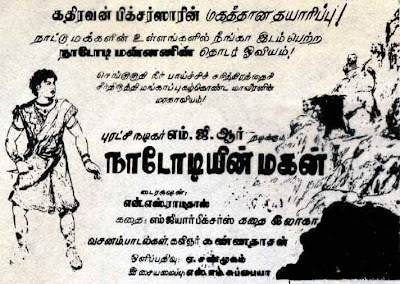 The Ad about Nadodiyin Magan. And 1967 is the year were MGR almost kissed death. Many movies were renamed and some movies were taken up Jai Shankar and Gemini Ganesh. Of this Inba Nila is one movie. And in fag end of 1972 Political colour played a major role in hampering MGR movie release and production even MGR Pictures Banner suffered a lot. Keep in mind that MGR's most trusted friend M.A.Chinnappa Devar did not produce any MGR acted movie from 1972. The last he did was 'Nalla Neram'. The list of unfinished movies comes to nearly 50 and some 20 odds are nearly half finished and remaining 30 odds did not reach shooting stage meaning stopped in the Advertisement level. The size of the Ad is enough to provoke the feelings of MGR fans. Nadodiyin Magan – Second Part of Nadodi Mannan. Kathiravan Pictures produced this film. The crew involved in Nadodi Mannan was also involved in this movie. The story is by MGR Pictures Story department, Kannadasan wrote dialogue and songs and music by S.M.Subbiah Naidu. 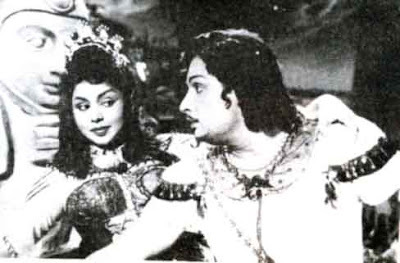 The Heroine was G.Sakunthala (the heroine of Manthiri Kumari, who later went to act in comic role) The story starts with the resurrection of N.M.Nambiyar who takes revenge by killing Nadodi and taking up the throne and how Nadodi's son avenges his father death is the remaining story. The movie has breathtaking sets and costumes. Some establishing shots and climax are to filmed but unfortunately the movie was dropped. Now the question arise were is the negative. With todays technology the movie can be finished and can be released. Can some one do it? I can say that unfinished MGR movies are uncut diamonds. Images from MGR Ninaivugal, 1994 edition.